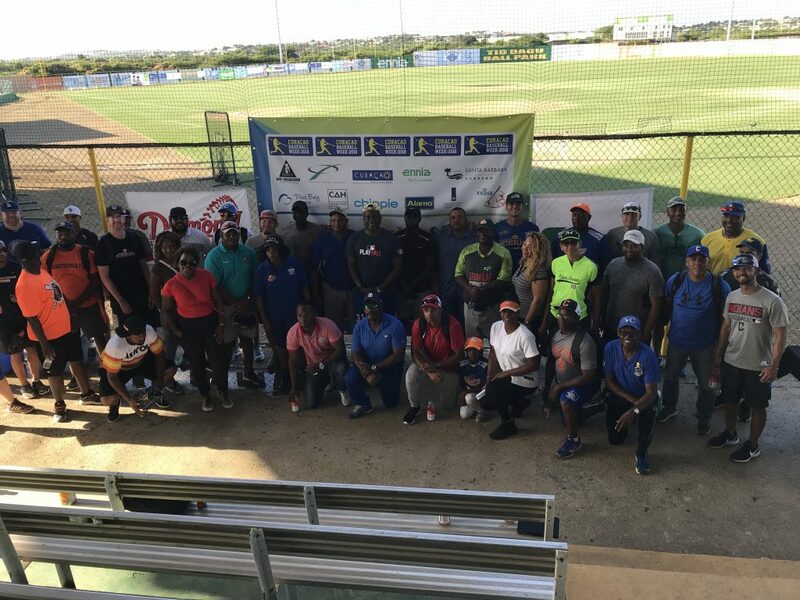 On November 24 ISG Baseball helped open Baseball Week in Curacao by assisting with a coaching clinic . The clinic consisted of a morning of classroom instruction at the stadium followed by an interactive on field clinic in the afternoon. Over 40 coaches attended the clinic and all the instructor provide valuable content both on and off the field. ISG Baseball is a non-profit organization founded in 1985 whose mission is working with national baseball federations to develop coaches at all levels, aiding individual clubs and federations in their rapid growth and development, and assisting them with their coaching education programs by improving lines of communication with baseball and softball experts.